One of the very first things you need to know when learning a new language is the basic greetings. How do you say hello and introduce yourself in French? 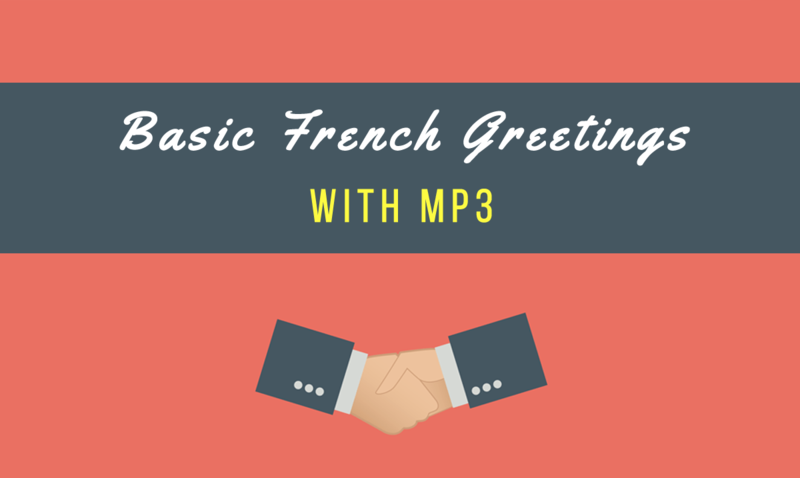 In this article which originally appeared as the first lesson in the new book My French Routine Volume 1, we will learn all about the basic French greetings. Listening exercises: you can download the MP3 fileswith a requirement to subscribe to the weekly newsletter. If you already signed up before, check your French Learning Package. The MP3 tracks are already there. Now, let’s continue with some Standard/ Formal Greetings. At bedtime, you would usually say“Bonne nuit,“ which means “Good night” in the same way that we mean it in English. If that seems a little too complicated, then you could just say “Salut!”. This is an informal greeting that means “Hello,” but can be used to say “Goodbye” as well, plus you can use it at any time of the day. However, it is a good idea to learn the various greetings and be able to say them accurately in French, especially if you will be conversing with people you do not know very well. It is simply polite to use more formal greetings; “Salut“ is really only something you should use with friends or in informal situations — i.e., not with your boss! After greeting someone, you may wish to continue the conversation. There are two questions you will usually ask. Here is the first: Ask how someone is doing. There are two ways to ask this question; your choice will depend on whether it is a formal or informal situation. Next, you might ask the person’s name, if you do not know him or her. Now, let’s practice your pronunciation. Listen to the audio track (transcription below) and try to repeat the word. Let’s begin with a simple exercise to help you memorize what you have just learned. Jean Dubois: _____, merci, et vous? Jean Dubois: Comment vous vous appelez? Jean Dubois: Je m’appelle Jean Dubois. Jean Dubois (Mr): Bonjour Madame. Jean Dubois: Bien, merci, et vous? Jean Dubois: Comment vous appelez-vous? Sophie: Je m’appelle Sophie. Et vous? Hello Sharon, how are you today? Listen to the dialogue (track 10) and answer the questions below. If it is too difficult, read the transcription without the translation and try to answer the questions. Do you want more lessons? Get your copy today of My French Routine Volume 1. Each lesson is structured in such a way that you will quickly grasp the ideas with the help of the audio tracks. You can listen to dialogue recorded by French speakers, follow along to practice pronunciation, and practice your listening at the same time. 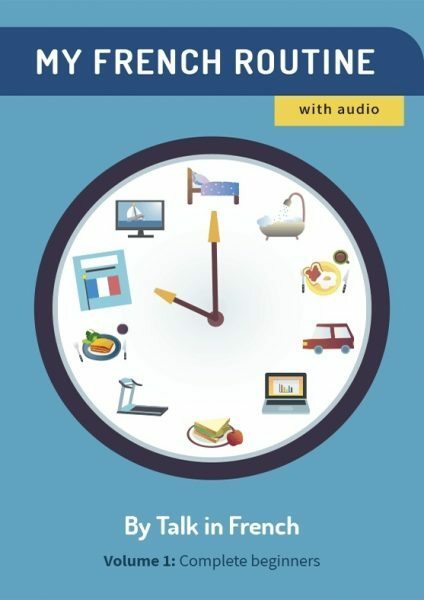 This book is a complete learning method perfect for anyone who wants to learn French on their own. Volumes 2 to 6 are also available.